The day I made the first image I was proud of, was the same day I knew I wanted to sell them. 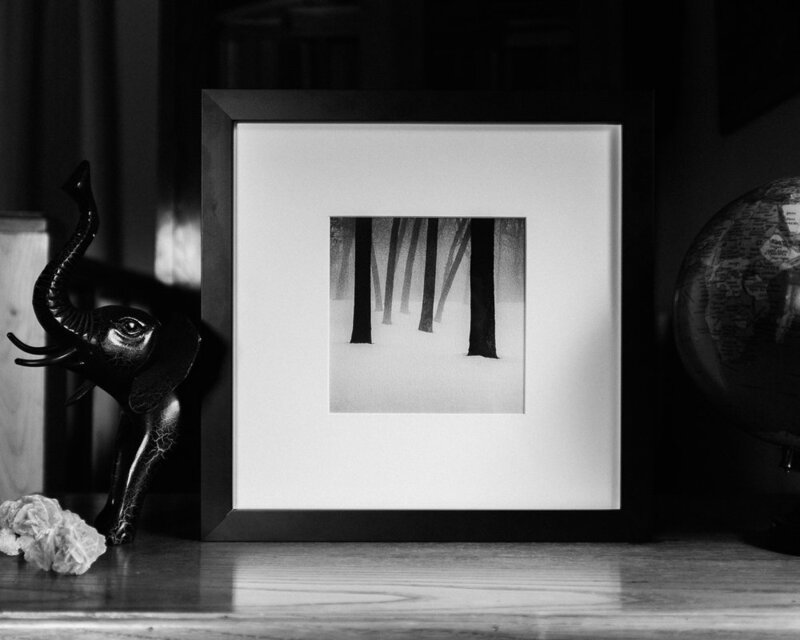 Not to make money -although this is a nice perk-, but because I like to think that my work is hung on someone else's wall, and because I believe the photographic process should end with a print and not on a screen. I released my first print, St John's Bridge, back in May 2017. It was a very limited edition that I produced at a Fine Art Printing place in Portland, OR. It was the first time I saw one of my images printed with high-quality materials. I absolutely loved the quality of the print, the texture of the paper, the way it looked on the wall. Everything. Moving out, where to print them now? There was a problem, though: a few months later, I'd be moving out of the city and go on a road trip across the country. I forgot about selling my images and focused on making them. After the road trip was over and I had a permanent -for 4 months- place of residency, I decided to resume the process of printing my images. Once again, I'd be moving to a new location -overseas, this time- in a few months time so I couldn't rely on a local place to print the images. I purchased a printer, in the hopes that I could produce them at home and replicate the process once I moved to a new location by either bringing the printer with me or buying the same one at my new home. I tried, I really tried. I printed dozens of test prints (spent a lot of money on paper and ink), but it didn't work: the results weren't good at all, far from what I'd gotten from a professional printer. I thought about buying a more expensive printer, but they were too big to bring along with me and too expensive to buy again. I gave up and thought it'd be impossible to create consistent, high-quality prints as long as I kept moving. Would I have to settle somewhere to start printing my work? Fast forward a few months. Already in Spain, one day I start thinking again about printing my work. I do some research, but instead of looking for places nearby to print it or the endless YouTube videos about how to print images at home, I look for information about how people are actually shipping their work. It didn't take me long to land at this website talking about drop shipping (I don't remember which one! I got so excited that I kept looking it up and had literally dozens of websites about the subject open at the same time). It was exactly what I needed: someone taking care of the printing and the shipping. Every time I got an order on my website, I'd tell that person to print a copy and ship it. From anywhere. To anywhere! Now, I "only" had to find the right printing company to take care of this part of my business. It's funny how these things work: after finding out about drop shipping, I started seeing it everywhere. A lot of online printing companies offer drop shipping, and I felt pretty stupid for not having realized about this before. I ordered a few test prints from a couple places on different papers and frames, and after looking at the results, I chose FinerWorks (I'm not affiliated with them in any other way than using their services to fulfill my orders - they don't know I'm writing this post). There are more, though: Printhouse.io, WHCC or Glicée Today are just a few examples. This is what my process to create and sell my Images of the Month looks like. After choosing an image and editing it carefully on the computer, I do a series of test prints at the local printer on the best matte paper they have available. I do this to have an idea of what the image will look like on the higher-quality paper I'll be using on the final print. If something is off, I correct it on the computer and do more test prints until I'm happy with the result. Once the image is ready, I order a print from FinerWorks as if I was a customer. Since I'm living overseas, shipping it here can take a while so I do this well ahead of time (1 and half to 2 months before start selling it). I do this to make sure the image and the paper meet my requirements -think of it as a quality assurance step. Not only do I check the overall quality of the product but also the shipping experience. I also use this sample print to take the photos for the product page and the post promoting it. The final step is, obviously, to put my prints up for sale. Once an order from a customer is placed, I just have to go to FinerWorks website and replicate that order there. After I get the shipping notification, I update the customer with the tracking number. I then wait a couple days after the delivery was completed to contact the customer and make sure that everything went as expected and the matted or framed print looks fine. As I said, so far it's been great. The quality of the prints -both matted and framed- has been amazing and I've gotten positive feedback from people who have ordered them. Drop shipping allows me to keep my store open 24/7. I travel a lot and I don't have a permanent place of residency. This is how I can make new images, but also the very same reason why I wouldn't be able to sell them if it wasn't for the drop shipping service. I would have to have a stock of images (increasing the risk of the business) and someone in charge of shipping them (either expensive or not a professional at doing this, both options being pretty bad). After having the print in my hands and checking that everything looks just the way I want, I can worry about making new images and delegate the printing on professionals who will replicate it perfectly and package it much better than I would ever do. Not everything is good, of course. Drop shipping is a compromise for me, but life is all about compromises, isn't it? The biggest drawback for me is not seeing the product that the customer is getting. I have to trust an external company to deliver the high-quality product people who buy a print from me are expecting (because that's what I promise!). After controlling the rest of the process -taking the exposure, developing the film, scanning the negatives and editing the final image-, delegating the very last step on someone else wouldn't be my first option. This is why it's so important to make sure the drop shipping service of choice meets your quality standards and contact the customer to get feedback. Another downside of this method is the cost: printing and shipping the prints by myself would be much, much cheaper. And the last one I can think of right now is customization. You can personalize the invoice, place a sticker with your logo on the package, and leave a thank you note. But you can't sign your work, for example. I'd love to be able to work on every print with my own hands and take care of each individual order myself. But in pursuing this goal, I wasn't able to sell any prints for over a year. The quality I'm getting from drop shipping is still outstanding --I don't think I'd be able make higher-quality prints myself. Now I can keep moving to new places and focus on making new images, knowing that I can deliver high-quality prints from anywhere I happen to be, at any time. 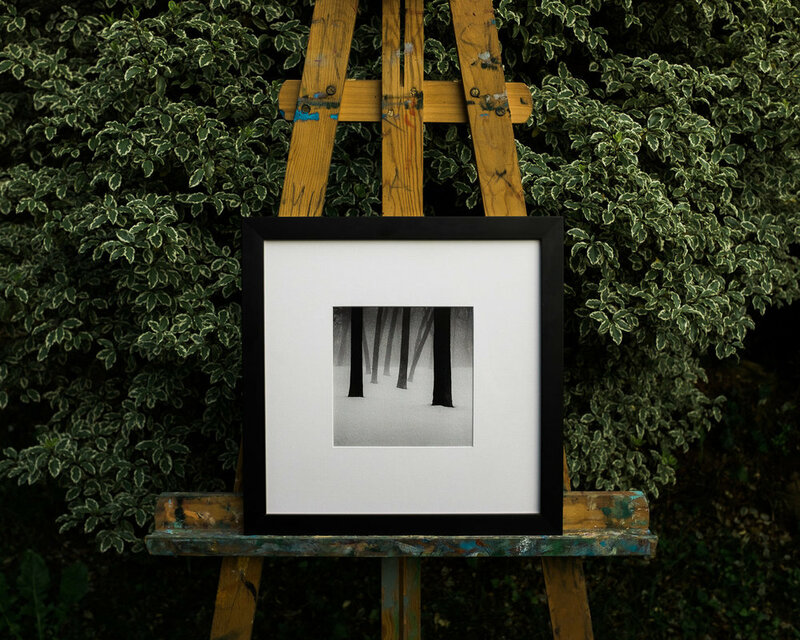 If you are a photographer or an artist, and are struggling with printing and shipping your work, take a look at drop shipping. It might be what you need!